I’m really looking forward to playing this concert, which will be filmed for a later release. Hope to see you there!! Doors open:7:30 pm, ticket ordering at: 604-564-0125-Only 100 seats!! 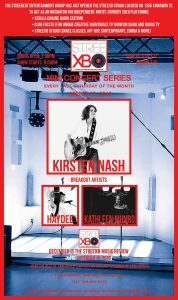 KIRSTEN NASH LIVE at STREEXB! !